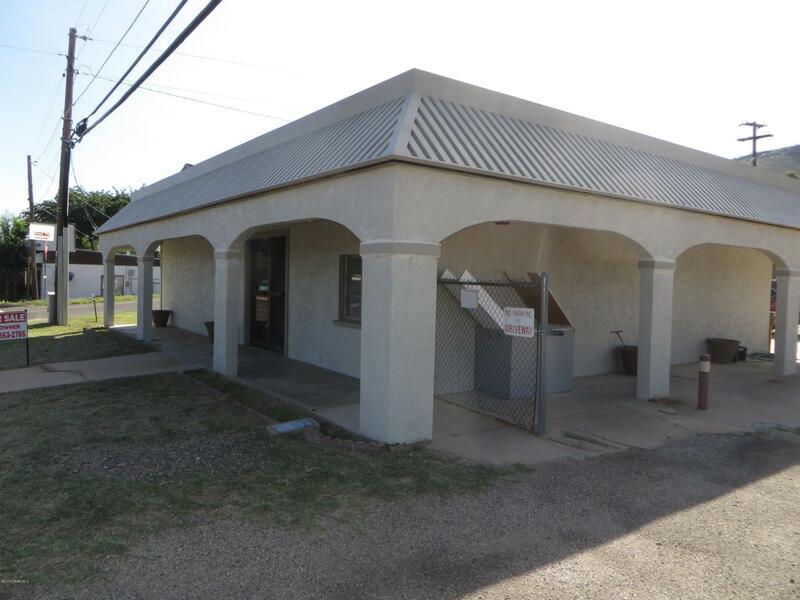 Retail or Business opportunities in this Commercial Building with multiple voice/media installations and extensive partitioning. Kitchenette; 1/2 bath. Multiple updates including roof, HVAC, electric. Great location for retail or commercial enterprise. Live in the separate remodeled residence while you run your business. Home is located to rear of property with 2 covered porches; great room with multi skylights, ceiling fans and vaulted ceiling. Split master bedroom; inside laundry and pantry. Dining nook; office area; Efficient kitchen with range and refrigerator, breakfast bar. Separate large storage building with secure locked areas and 2 covered parking areas. Completely fenced property with locked gate. Opportunities abound! Listing provided courtesy of Marcella Theokas of Arizona Legends Realty.